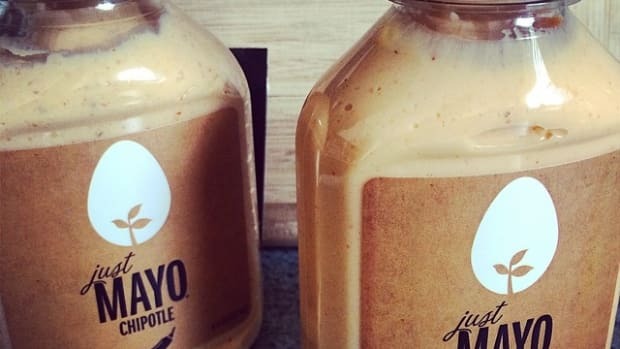 Unilever, the parent company of Hellman’s mayonnaise, made headlines earlier this month when it filed a lawsuit against Hampton Creek Foods, the 3-year-old startup manufacturer of Just Mayo—an egg-free vegan mayonnaise product that’s being sold nationwide thanks to $30 million in funding from people like Bill Gates. In its suit, Unilever cites an FDA definition from the 1950s that explains mayonnaise as containing egg. 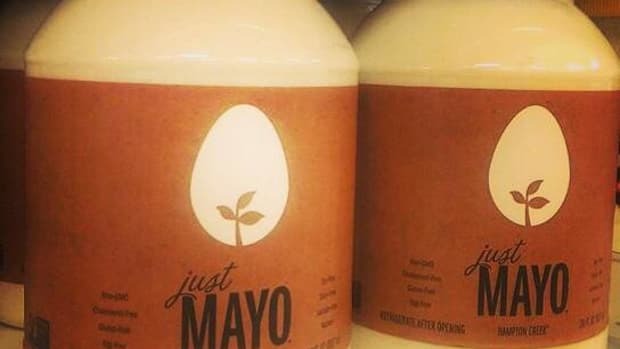 This, the company says, is enough to confuse customers, since Just Mayo doesn’t include eggs but gets its emulsification from vegan pea protein. 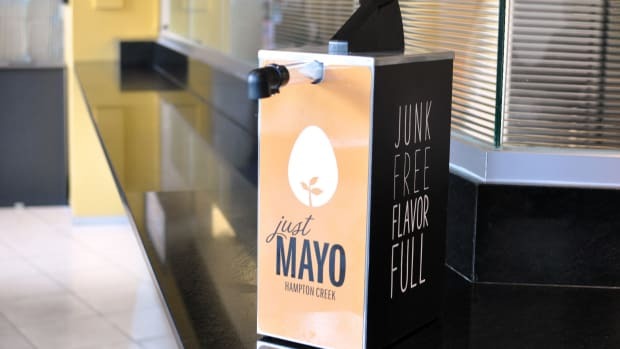 “Under federal regulations, common dictionary definitions and as consumers understand it, &apos;mayonnaise&apos; or &apos;mayo&apos; is a product that contains eggs. 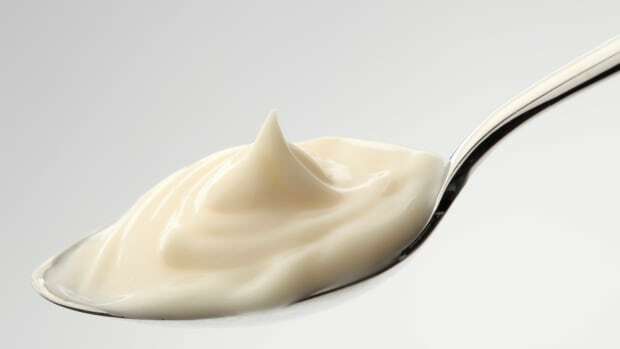 That ingredient does not exist in Just Mayo,” the Unilever suit states. But the bigger issue Unilever is most concerned about is Hampton Creek’s impact on its massive market share. 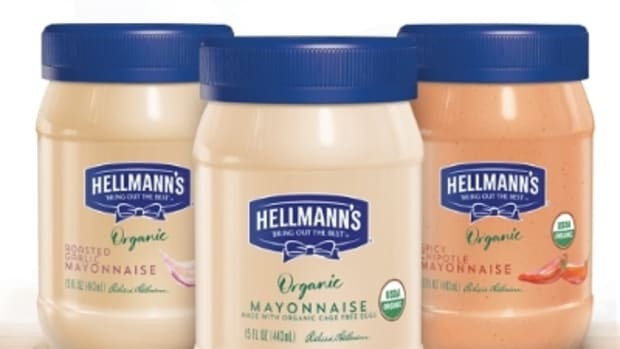 It edged Kraft’s competing Miracle Whip product out of the mayonnaise category long ago because it also does not contain eggs, so it has technically been sold as a “salad dressing” even though it sits neighborly on the same shelf as Hellman’s in virtually every supermarket in the country. 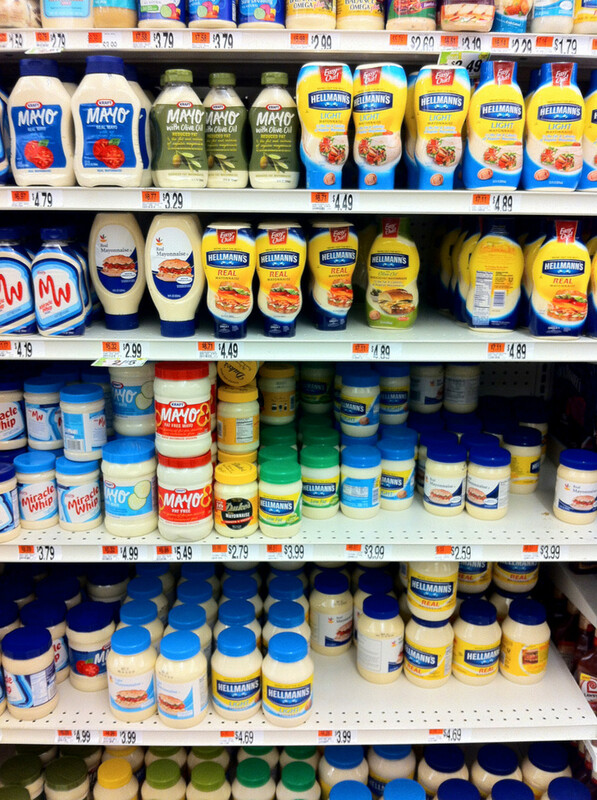 Unilever owns a whopping 50 percent of the “mayonnaise” category, and Just Mayo is creeping onto shelves fast. It can now be found in likely places--the small natural food stores and co-ops as well as Whole Foods Market--but it’s also available in Costco, Walmart and Dollar Tree stores across the country. 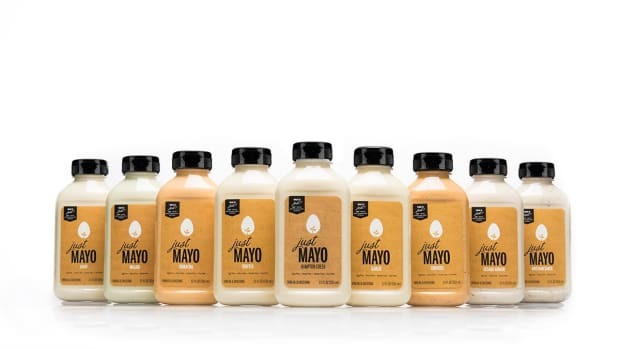 “Now Hampton Creek is preparing a countersuit, and it looks like things are going to get all ontological as the two parties grapple with that age-old question, ‘What makes mayo mayo?’” Mother Jones explains. 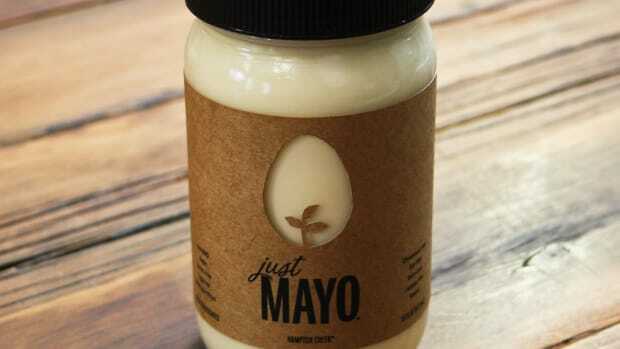 Hampton Creek founder Josh Tetrick calls Unilever’s suit “frivolous,” noting that Just Mayo has been beating Hellman’s in taste tests, with the added bonus of being egg-free. “I think we’re on the right side of the law and ultimately on the right side of offering a better food product that consumers want,” Tetrick said in TechCrunch. Tetrick says the lawsuit represents “something a whole lot larger than our advertising and speaks to the change we need in food production generally,” he said in the New York Times. 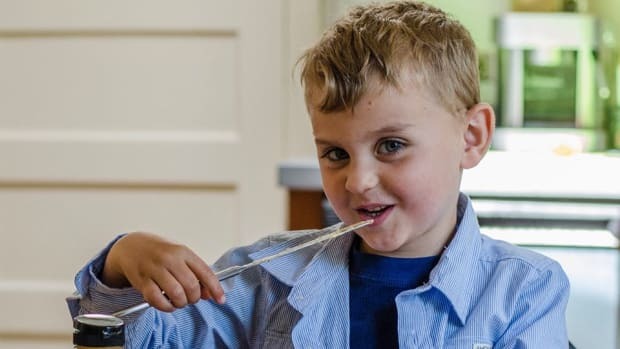 “We’ve got to figure out a way to solve the big problems like food’s impact on environment and health." Tetrick also points to Unilever’s sustainability claims, which may be part of Hampton Creek’s countersuit. The multinational’s sustainability program called Project Sunlight contradicts the company’s suit against Hampton Creek, says Tetrick. “If you look at what Paul Polman, their C.E.O., says about sustainability requiring radical transformation and entirely new business models, I do think Unilever is on the front lines of getting it,” he told the Times.